Always the Last Full Weekend in July! 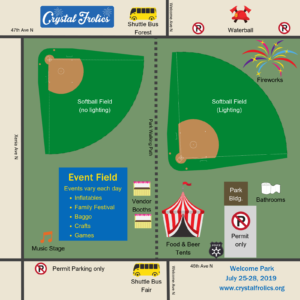 The Crystal Frolics is hosted by the Crystal Frolics Committee, Inc. – a non-profit organization, which is comprised of members of Crystal civic groups, service organizations, local businesses and interested residents. These organizations include the West Metro Fire Relief Association & Auxiliary, the local VFW Post 494, Boy Scout Troop 590, Cooper Football and the City of Crystal. 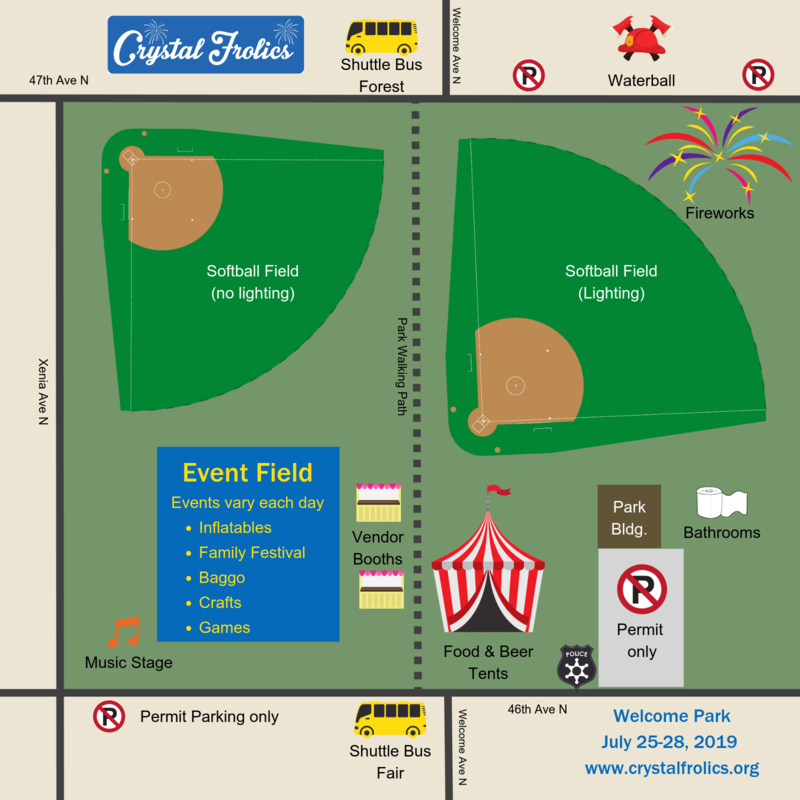 Proceeds from the beer and food tents support the service organizations and in turn support the Crystal Frolics. Without the support of these organizations, the Frolics would not be able to happen each year, since we operate through donations. This financial support funds the softball tournament, fireworks, music and other activities. Your help and support will go a long way in keeping the Frolics one of the best weekends in Minnesota! Many levels of sponsorships are available, please email Lynn Haney for more information.